It is widely recognized that marine resources, although renewable, are not endless and need to be properly managed if their contribution to the nutritional, economic and social well-being of a fast growing human population have to be sustained. In this sense, maintaining long-term marine fisheries sustainability entails not only socio-political significance, but also economic and ecological importance. So far, most of the fish stock assessments* performed rely on methods proposed in the first half of the twentieth century. Although robust, these methods are clearly outdated and inflexible because they demand big data set and they do not take into account the interactions that exist between the biological, physical and anthropic components. However, most of the ongoing fisheries research has to face the lack of regular data, making conventional stock assessment tools usually not applicable to data-poor situations. This is particularly a concern for developing countries, where fisheries tend to be poorly documented and inadequately managed due to limited funding for monitoring and data analyses. Still, in such countries fisheries play a major role in food security and well-being for the poor. One alternative that has been adopted to overcome this issue is to use more flexible models. Nevertheless, one might still wonder: could more flexible quantitative methods still perform well and be reliable under limited information? The answer to this crucial question is: Yes, it could! And indeed they do it very well! A paper published very recently has used a set of different statistical approaches in order to extend the scope of data-poor fisheries. The study was carried out in Rio Grande do Norte state - a small coastal state on the Brazilian northeast - where the authors studied the endangered lane snapper (Lutjanus synagris) that is caught by the artisanal fleet (Fig. 1). The new ingredient of this paper was based on the legacy left by the English Reverend Thomas Bayes (and also by Pierre S. Laplace, although this one is not properly recognized) (Fig. 2), and which has come to be known as Bayesian reasoning. Through Bayes theorem one might update her initial belief about something with new information, and thus get a new and improved belief. In essence everybody could consider herself a Bayesianist, as our updated knowledge is always initially shaped according to our initial beliefs. 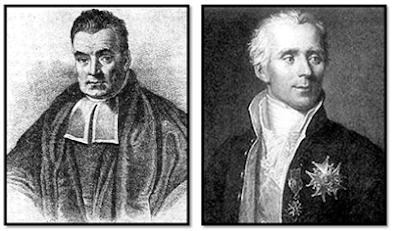 Figure 2: Thomas Bayes (left) and Pierre-Simon Laplace (right) (References: Wikipedia). Specifically, the authors of this paper addressed Bayesian reasoning into two important fisheries modelling issues, namely the estimation of mean size at which a species reaches first maturity (L50) and the prediction of a species’ spatial distribution. By knowing the L50 of a fish stock (or fish population) we can divide it into juveniles and adult individuals and therefore propose policies to restrict the fishing of juveniles, i.e., when a fish mean length is smaller than the estimated L50. Moreover, knowing the spatial distribution of juveniles and adults gives an overview of where each one occurs preferentially. This information helps subsidize management policies based on the use of the space by the fish, as it allows for instance the protection of specific fishing grounds, where juveniles aggregate. In this sense, by including Bayesian reasoning in these two issues, it was shown that it is a useful model for data-poor situations. This happened primarily because of the Bayesian properties, which permits that a researcher not only handles smaller datasets than usual, but also incorporates any available information to the data. The latter case is of particular interest, once it allows the results to adapt themselves automatically as we acquire more data. Thus, even if someone has a small dataset, she can either use the literature or use her own information to accumulate data and produce more reliable results. Last, but not least, by using Bayesian models the researchers were able to quantify the uncertainty of the predictions in a straightforward way. In fisheries science, we do not control the data, we typically only observe it, and such observation is usually incomplete, which leads to several error sources (imperfect observations, inappopriate sampling procedures, model structure and parameter definition, etc.). This is where uncertainty emerges. Thus, if one desires to provide an accurate picture of the investigated phenomenon, it is of fundamental importance to account accurately for these multiple uncertainty sources in the models. Also, by quantifying the uncertainties someone has greater control of the quality of her results and, consequently, more freedom to make specific decisions upon the evaluated process. For instance, in fisheries management, questions like ''what is the probability that the current catch levels of a given fishing resource remains sustainable'' or "what is the probability that area A has greater conservation potential than area B'' can only be answered under the Bayesian paradigm. Therefore, knowing that uncertainty is inherent to all scientific realms, its inclusion in the decision-making process is not only desirable, but essential. *a stock assessment is an evaluation of a given fish population. It can provide multiple information, such as the total biomass or the total number of individuals in that population, but it can also bring information on age estructure, fecundity, proportion of males and females, etc. Garcia Jr., J.; Mendes, L. F.; Sampaio, C. L. S. & Lins, J. E. 2010. Biodiversidade marinha da Bacia Potiguar: ictiofauna. Rio de Janeiro, Série Livros 38, 195p.